La Plata is an example of advanced 19th-century urban planning, one of the few cities in the world that has been fully planned according to Republican ideas before being built, a child of the Industrial Revolution, positivism and the utopian idea of a more harmonious and sustainable social life. A coach takes us from Buenos Aires airport to La Plata (57 km), the main locality in the Buenos Aires province. It was founded on 19th November 1882 because of the need to proclaim a new main locality for the province after Buenos Aires was declared federal capital of the Argentinian Republic in 1880. La Plata is the first Latin American city built according to a precise plan. The then governor Dardo Rocha appointed French architect Pedro Benoit to develop an innovative rationalist plan which earned the city the nickname of “city of diagonals” due to the numerous diagonal streets that cross a perfectly rectangular grid. The city also boasts many buildings of great artistic and architectural value. Our tour starts with Plaza San Martín, overlooked by the Palace of Justice, the Government building and the Pasaje Dardo Rocha_ _cultural centre, all built in the French Renaissance style. We then head towards Plaza Mariano Moreno, the geographical centre and point of intersection of the city’s main roads. 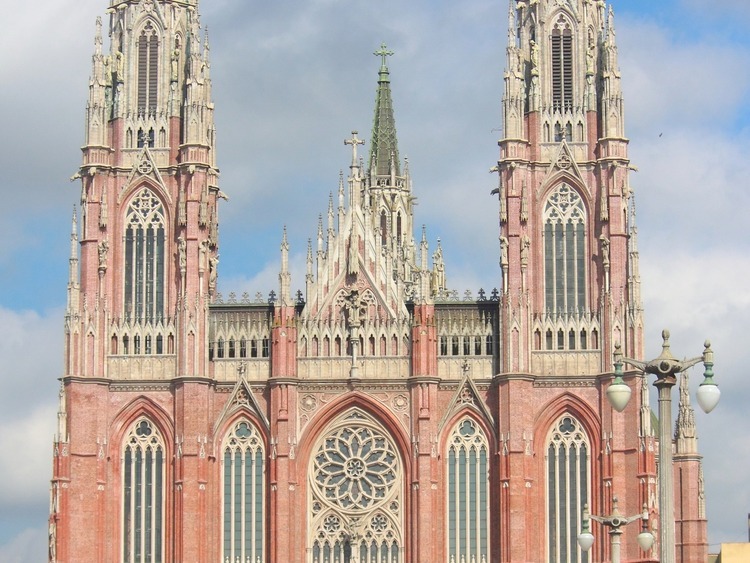 Here, we admire the imposing Cathedral of the Immaculate Conception, which is considered the main Neo-Gothic church in Latin America as well as the tallest cathedral in America and one of the ten most important cathedrals in the world. Its construction started in 1884 and ended in 1999 with the erection of two gigantic towers. After visiting the cathedral, we move on to Paseo del Bosque, the largest park of the city covering 60 hectares where the Natural History Museum, the fifth largest in the world, is located. Inside, we can admire numerous pre-historic fossils as well as dinosaur skeletons, marine animals, insects and a variety of mummified Patagonian animals. At the end of the excursion, we return to the port of Buenos Aires.